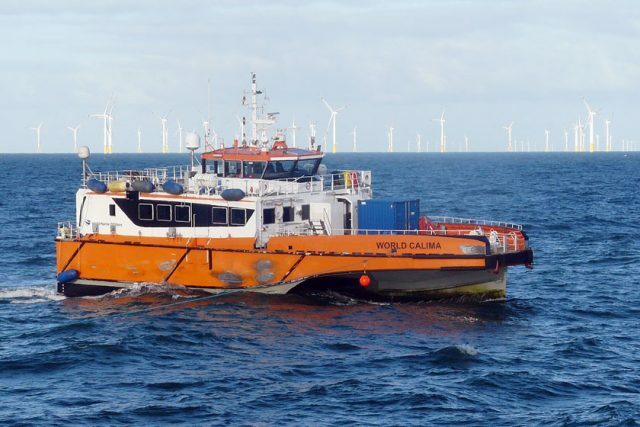 The 31 meter long supply vessel World Calima caught fire off a wind farm near Heligoland, Germany. The fire started in the vessel’s engine room and quickly disabled the vessel. The crew shut off the engine room and used the CO2 fire suppressant to extinguish the blaze. No reports of injuries to 5 crew on board. Authorities were alerted to the disabled World Calima who dispatched a DGzRS lifeboat assisted by other Naval vessels. The lifeboat towed the disabled World Calima to port. No reports of pollution released.